As written earlier according to independent research, since the last two years, out of 178 countries, Thailand now belongs in the top 100 most corrupt countries in the world. 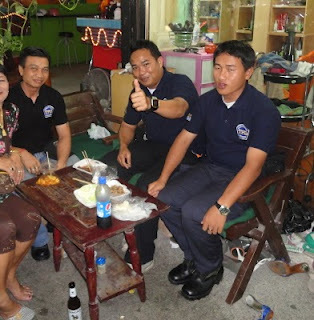 How Thai people are expected to become or remain law abiding citizens if police-officers themselves show the worst example? 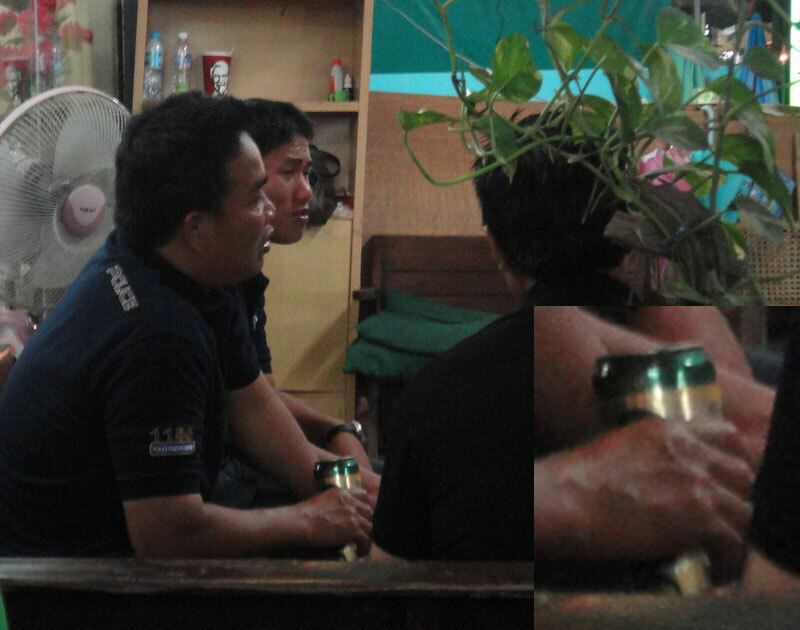 In Phuket a typical day for a police officer starts with taking breakfast in an expensive hotel, free of charge, for the rest of the day they believe their duty consists of drinking coffee, free of charge at any place of their choice. I didn’t see or hear about free lunches and/or dinners but most likely this´ all in a day’s ‘work’. For bar or (street)-restaurant-owners it’s normal to pay money to the police on a monthly basis, similar to Italian shops paying protection money to the Mafia in earlier days. If you don’t wear a helmet while driving a motorbike as a Thai person you will be charged ฿300 / €7.32 / $10 and as a foreigner ฿500 / €12.21 / $16.70, which is a gross violation of the UN ICERD act, which has been signed by Thailand as well, but once handing over your ID, you’re still allowed to drive and upon paying the fine at the police office, where you can go and leave on your motorbike still without helmet, you cannot be charged for the same offense within another 12 hours to go. How tolerant, but’s what lesson do you learn when paying a fine and are still allowed to carry on tresspassing the law? Sponsoring crooked law enforcement? Also the police is involved in drug schemes whereby the buyer is being extorted by an informed policeman to pay a big sum in cash or face an undefined time in jail. The police isn’t very popular in Thailand and so far I didn’t meet a single person who had a good word to say about the regular Thai law enforcement. The tourist police is there to protect tourists, which people don’t complain about but the other officers are commonly being referred to as Mafia. I’m sure corruption differs from office to office and from province to province and perhaps Phuket is the worst example. Besides the police it’s common practice for immigration officers in Phuket to accept under the table money to prolong visa’s even when everything is fully in order and since a few years the new chief promised to fight corruption in his office. But as long as there’s no effective system to verify and correct illegitimate behavior of civil servants, corruption will continue, blocking the natural growth of Thai economy. But in Thailand ranking country no. 26 with the least freedom of press worldwide, not many will speak out their opinion and/or experiences in public. Therefor I expect little comments on this post. We keep on going and smile..